Spring Fling Art Show and Sale Coming up. I will be attending this show and unveiling my new Fine Art 500+ Piece Puzzels for sale at this event. I have had four of my best paintings custom made into 16 X 20 puzzels. I will be demonstrating at this show on Saturday, February 9th from 10 to 4. 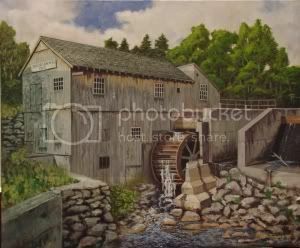 I will have ten paintings on display at the Pelham Public Library, 24 Village Green Pelham, New Hampshire. This display will begin on April 2, 2012 and run through April 30th. I will be there on Tuesday evening, April 10th from 6:00 to 8:00 pm to discuss my work. I’ll have a slide presentation to show the methods I use to create the effects produced in these paintings. There will be twelve artists from the Greater Salem Artists Association displaying their paintings as part of this fashion show. I will be there with two new paintings too. All of the art is available for purchase. 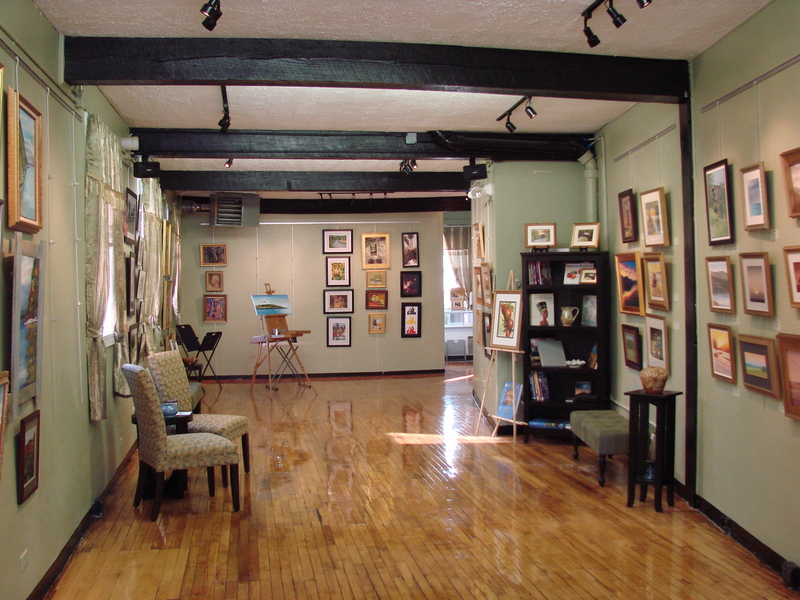 The Sage Art Gallery located at 136 Washington Street, Haverhill, MA, will be holding a juried art show running from March 8 to March 31, 2012. There is an Opening Reception on Saturday, March 10 from 7:00 PM to 9:00 PM. I’ll be there along with the other artists to meet and greet folks. I hope you can stop by to say hello and see three of my latest works. I am showing three pieces of art at the gallery including Apples in Sunshine, Taylor’s Sawmill and Native American Dancer Don Barnaby. My blank note cards are also available. Art in Action will feature 20 artists working in various mediums at Mack’s Apple Farm Stand at 230 Mammoth Road (Route 128), Londonderry, NH. The date is Saturday May 15th, and Sunday May 16th. The hours are 10:00 AM to 4:00 PM both days. I will have several of my newest paintings there, and will be demonstrating my painting methods. I will also have an ongoing slide presentation so you can see most of my work and other painting processes. This is an inside show, and weather won’t be a concern. Stop by and see the excellent work all of these artists create. The Greater Salem Artists Association will be holding the 25th Annual Art Show and Sale. See below for the details. The Greater Salem Artists Association will be holding their Winter Show on December 3rd & 4th at the Kelly Library 234 Main Street Salem, NH. The Art Institute Group of the Merrimack Valley will be holding their 9th annual show from Wednesday, October 27th through Saturday, November 6th. I will be unveiling three new works at the show. The Greater Salem Artists Association will kick off the 2010 – 2011 season with their first meeting at the Salem NH Public Library, 234 Main Street, Salem NH. The meeting is on Thursday, September 9th at 6:30 PM in the lower meeting room. I will be doing a painting demonstration immediately following the business meeting and light refreshments. I will focus on the methods I use to produce a variety of painting surfaces on store-bought canvas and cotton duck. I am also the mini-exhibitor and will have three newly completed works on display that show the results of this kind of careful canvas preparation. 27 Pleasant Valley Street, Methuen, MA, is holding their annual Customer Appreciation Week from Monday, August 30th through Sunday, September 5th. I will be doing a painting demonstration on Saturday, September 4th from 9:00 AM to 1:00 PM. I will also have several paintings and fine art note cards available for purchase. I will be unveiling six new paintings and demonstrating my painting methods during the show. Edgewood Retirement Community is holding a special event celebrating the creativity of resident artists and artists from the New England area with artworks displayed throughout Edgewood. Enjoy a selection of fine wines, provided by McAloon’s Liquors of North Andover, as well as cheeses and hors d’oeuvres — and the opportunity to chat with current residents. Take a tour of the spacious, New England Shaker-style homes nearing completion at The Villages at Edgewood. I will be showing several paintings, as well as working on a current painting at this event. I will also have a selection of blank note cards available for purchase.